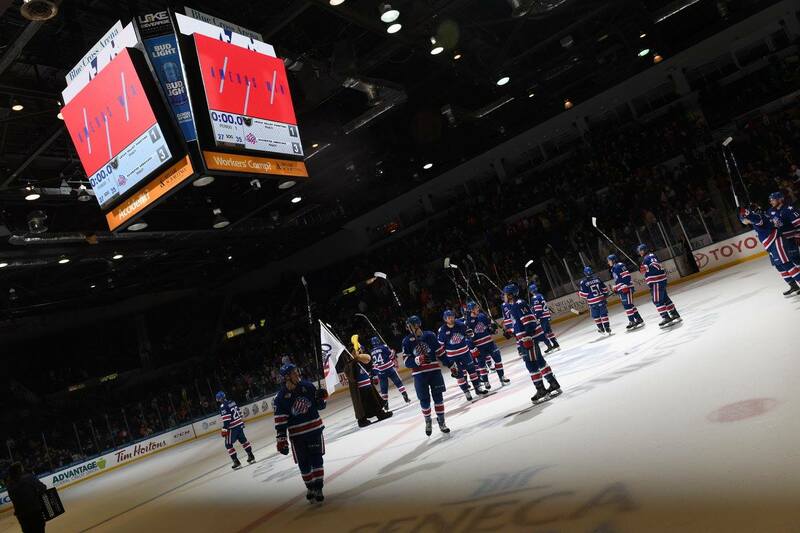 Amerks Reach 50 points with Win over the Phantoms · Let's Go Amerks! The Rochester Americans defeated the Lehigh Valley Phantoms on Saturday night at home to reach 50 points in the standings and the third team to do that in the league. The 3-1 win caps off a weekend of back to back home games when the team knew they had to win. The Amerks are on pace for 105 points, the last time they broke that barrier was the 2004/2005 season. That was also the last time they made it past the first round of the playoffs. Through 36 games this season the Amerks only have eight regulation losses with seven of those being at home. Two of those last week. Griffith had a three point net (1G+2A) and was the first star of the game. Linus Ullmark and Dustin Tokarski battled it out throughout the game with quality saves at both ends of the ice. The difference was the Amerks defense breaking up odd man rushes by the Phantoms versus the Amerks able to connect and score. 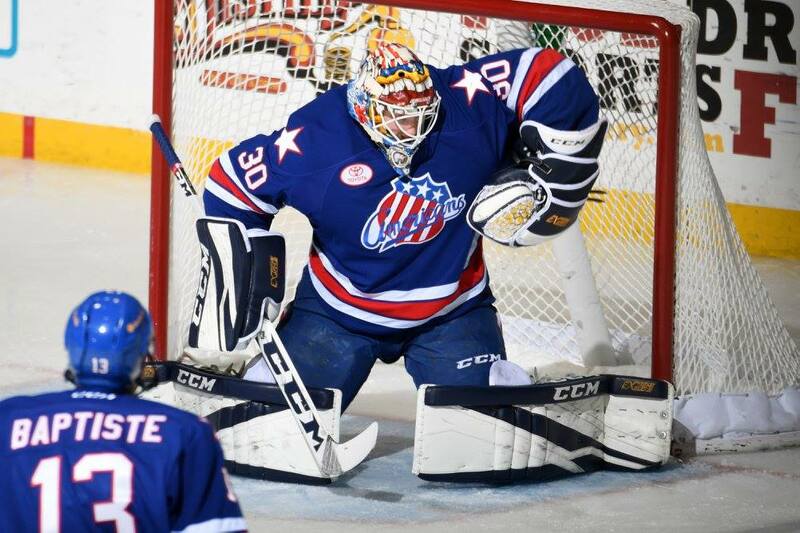 Credit Rochester Americans for the pictures. CJ Smith ended his seven game rookie slump without a point scoring the first goal of the game off a pass from Kyle Criscuolo. Former Amerks defenseman TJ Brennan is always lethal with the puck and he tied the game five minutes later while playing four on four hockey. Kevin Porter scored what would end up being the game winner on a two on one with Seth Griffith and blasting the puck into the back of the net. In a designed play, Kevin Porter connected on a 27 yard scoring drive to put the Amerks up 3-1 with 1:27 left in the game to solidify the win. The Amerks hit the road for a game in Belleville on Wednesday, return home against Binghamton on Friday and travel to Syracuse next Saturday. Alexander Nylander will be back with the team after the weekend after playing for Sweden in the World Juniors. Nathan Paetsch has been cleared to play but is still a week away and could play next weekend. Justin Bailey hasn’t been cleared yet but the hope is that he’ll be ready in the next week and a half. A crowd of 5,976 was pretty good for a frigid Saturday night in Rochester!